A quarter of carbon monoxide emissions produced by Britain originates from the energy used to light and heat up homes and properties. This is due to the fact fossil fuels are burnt to produce the aforementioned energy; a by-product of burning fossils is that it creates waste gases which contribute to the effects of global warming. When you choose to install a condensing boiler, the position of the boiler and the flue will have to be carefully considered. A by-product of condensing boilers is a considerable amount of “Pluming” which is a combination of steam and water vapour which exits the flue from the outside. The placing of the flue needs to be considered particularly with neighbouring properties and boundary lines. COMBI-NATION will survey your property prior to installation and decide the best place to install your boiler. Upgrading to a condensing boiler is the step in the right direction and will be around 80% efficient. A boiler that is over 15 years old will be grossly inefficient and will only be 50% efficient which will be a huge waste of money and resources. 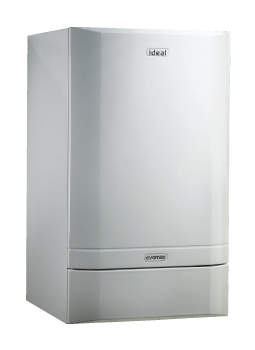 A condensing boiler is a superb way to reduce emissions and your gas bill; you may wish to consider a High-Efficiency Condensing Boiler, which is around 91% efficient.